One of Nelson Mandela's first trips overseas after being released from prison in 1990 by FW de klerk was to Cuba; this was not accidental, for it was the Cubans who valiantly fought alongside their African comrades against the apartheid system, both in word and, in this case, by the deed of extensive military involvement in Southern Africa in the 1970s/1980s. While history would prove the South African Defense Force unconquerable, the Cubans proved to be a respectable foe, fighting in a land far from home, for the freedom of a people they scarcely knew, except in principle. 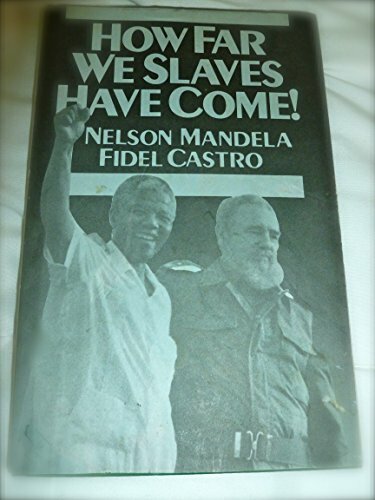 Speaking together in Cuba in 1991, Mandela and Castro discuss the place in the history of Africa of Cuba and Angola's victory over the invading U.S.-backed South African army, and the resulting acceleration of the fight to bring down the racist apartheid system. This is their jointly authored title with a very limited initial production run.